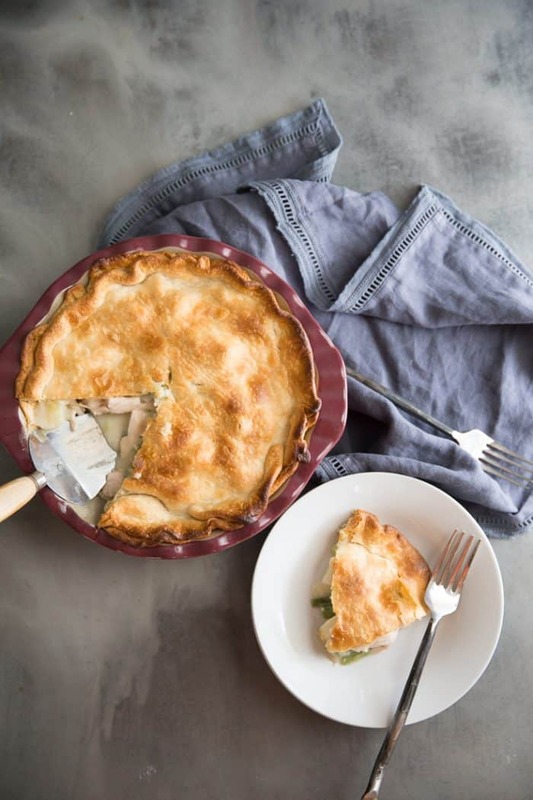 This turkey pot pie recipe is the very definition of comfort food! A perfect flaky crust tops a veggie and turkey filled center! This is an easy and filling way to feed the family! What Is Turkey Pot Pie Recipe? Turkey pot pie is the BEST way to use leftovers! Thanksgiving is the time where leftovers are almost as important as the Thanksgiving meal itself! Sure you can make sandwiches and you can probably whip up a turkey noodle soup, but how about trying something just as easy and comforting but buttery and flavorful too! Turkey pot pie is a collection of vegetables and shredded turkey in a gravy-like filling that is most often topped with pie crust. The best part of this recipe is that not only can you use leftover turkey, but if you have leftover veggies, throw them in too! 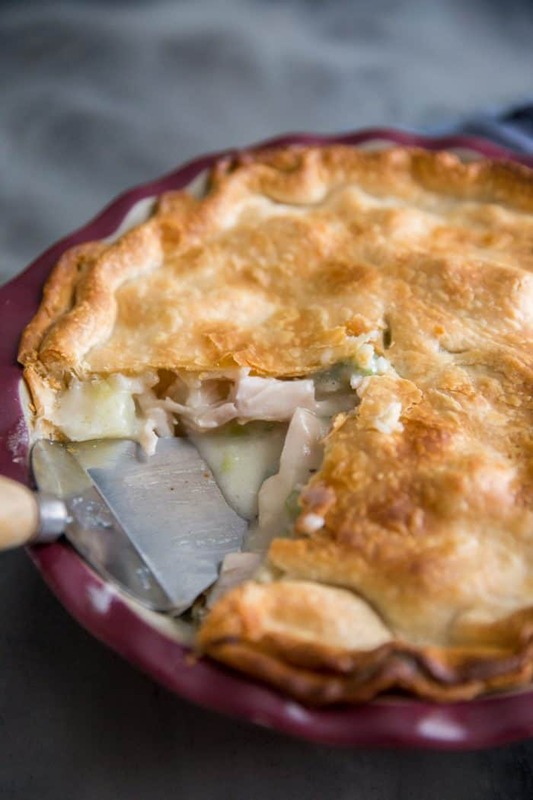 To make this turkey pot pie recipe, start by cooking your vegetable mix. The first thing I do is start a roux by melting butter and whisking in flour. Then I use a frozen mix of onions, green peppers, and celery – which makes a great base for so many recipes. I heat them until tender then add in cubed potatoes (try to get them cut into equal sizes so the cook at the same rate). Add in broth and bring to a boil, reduce heat and simmer until potatoes are soft when pierced with a fork. I whisked in some milk, my leftover turkey and frozen green beans. NOTE: feel free to use up leftover vegetables! Pour your mixture into a pie plate, top with a premade pie crust and bake! The pie should take about 25 minutes to bake up golden brown and perfect! Pie can be also be topped with biscuits, puff pastry dough, or crescent rolls. 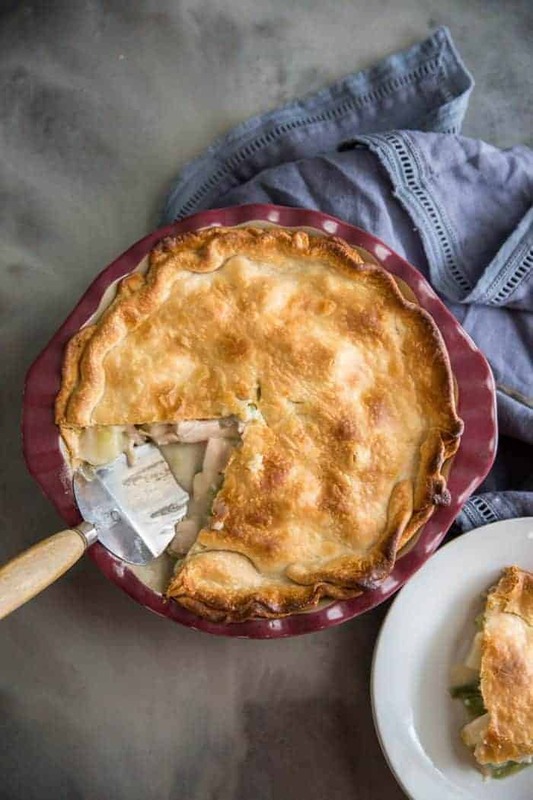 Can You Freeze This Chicken Pot Pie Recipe? Yes, you can. Prepare the recipe as is (minus the potatoes, they will not reheat well), however, do not bake the pie. 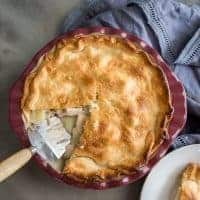 Cover the pot pie with plastic wrap and foil and place in the freezer. 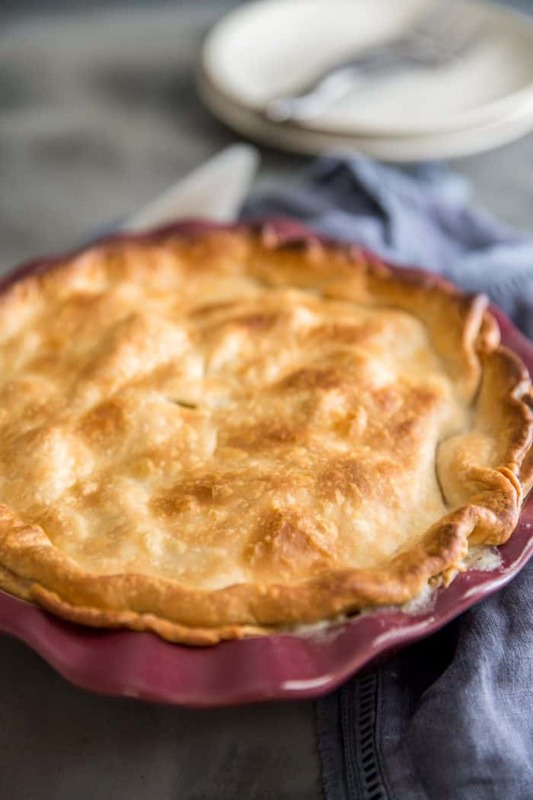 Bake the pot pie at a lower temperature so that the entire pie cooks evenly. What else to do with leftover turkey? Try this easy stromboli recipe or this turkey and dumplings soup! 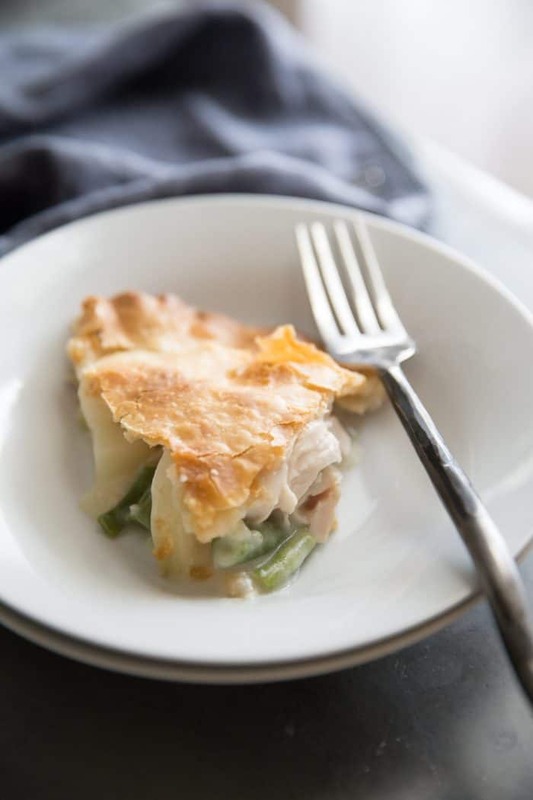 This turkey pot pie recipe is the very definition of comfort food! A perfect flaky crust tops a veggie and turkey filled center! This is an easy and filling way to feed the family! In a large, deep skillet or a stock pot, melt butter over medium heat. Whisk in the flour to form a thick paste. Stir in the vegetable mix and the potatoes. Pour broth into the mixture, whisking until smooth. Bring mixture to a boil, reduce heat and simmer until potatoes are tender, about 15-20 minutes. Stir in the milk until combined. Add turkey and green beans; stir. Pour mixture into a pie plate that has been sprayed with non stick spray. Arrange 1 pie crust over the turkey mixture. What a great use for leftovers! I will throw leftover gravy in there too.